Excited for this one. Along with Chef Steve Gonzalez and DJ Neil Armstrong, we are hosting a paired musical dinner followed by late night dancing in Toronto. 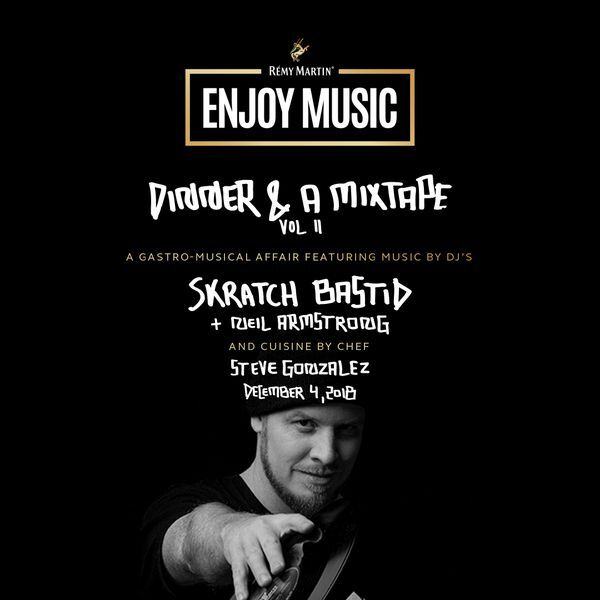 Tuesday, December 4th, join us and our friends at Remy Martin for a gastro-musical experience: Dinner And A Mixtape Vol II. Would we be able to carry on a conversation during dinner?